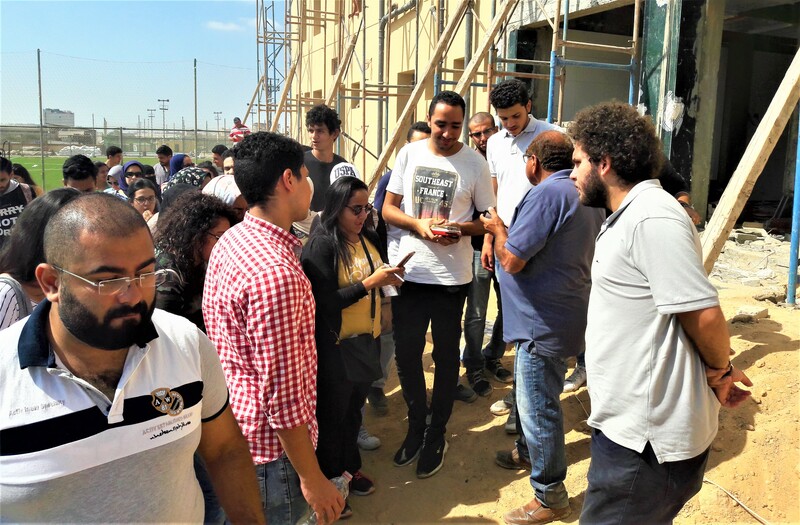 Under the auspices of Prof. Ramdan Abdel Maksoud, the Head of the Architectural Engineering Department, a field trip was organized for the fourth year students where they visited the construction site of Wadi Degla Club in Mohram Beik district. This was held on Saturday, 13 October 2018. Accordingly, the trip academic supervising staff contacted Samcrete Company, the project building contractor, along with the construction site manager to arrange a visit at a suitable time for the project progress. It should be mentioned that the construction project of Wadi Degla Club perfectly fits the requirements of the curricula of the Architectural Engineering courses since it contains Olympic-size, exercise and kids swimming pools as well as machine rooms. During this visit, the students were apprised of how to deal with the different foundation levels and the construction methods of building retaining walls, playgrounds, pathways, walls, guardrails, ramps and stairs. In addition, they were introduced to the project’s lawns, pergolas and lamp-posts. 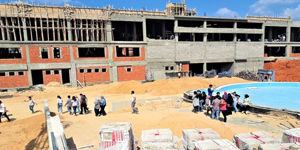 Then, the construction site manager and one of the mechanical engineers in charge accompanied the student in order to acquaint them with the installed equipment and connections of the swimming pools and air conditions. The students also met with the chief project’s construction engineer who explained the structural elements of the project. After this visit, the students made a technical report and designed a board of the project’s details which have already been recorded in form of notes, photos, videos and voice recordings.